Boston Accident and Injury Lawyer — Published by Boston, Massachusetts Personal Injury Attorney — Keith L. Miller, Esq. This is the Boston Accident and Injury Lawyer Blog, published by Boston Personal Injury Lawyer Keith L. Miller. 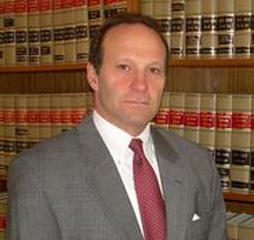 For over 25 years, Boston Personal Injury Attorney Keith L. Miller has been representing victims of accidents and has a record of success to prove it. If you or a loved one has been injured in an accident where you believe someone else is at fault, contact Boston Personal Injury Lawyer Keith L. Miller to arrange a free consultation 24 hours a day, 7 days a week by telephone at (617) 523-5803, or click here to send him an email. You will be contacted within 24 hours. January 25, 2017: Alphonse Ferent. 51, of Stoughton, Massachusetts, has died from an accident that occurred at the Stop & Shop distribution center in Freetown, Massachusetts. A tractor-trailer pulled away from a loading dock, causing Ferent to fall between the truck and the loading dock. Subsequently, a forklift that was being used to unload materials from the trailer fell on top of Ferent and crushed him. The Freetown Police and Fire departments arrived on the scene around 12:38 am and administered first aid to Ferent until an ambulance arrived. Sadly, the victim was pronounced dead upon arrival at the Charlton Memorial Hospital in Fall River. The police and the Occupational Safety and Health Administration are investigating the accident. The Securities and Exchange Commission has filed fraud charges in Federal Court in Miami, Florida against the owners and operators of Jay Peak Resort, a Vermont-based ski resort, and related businesses. The complaint alleges that millions of dollars were raised under the EB-5 Immigrant Investor Program. According to the complaint, the main perpetrators were Ariel Quiros of Miami, and William Stenger of Newport, Vt., who raised in excess of $350 million from foreign investors on promises of green cards and returns on their invested monies. 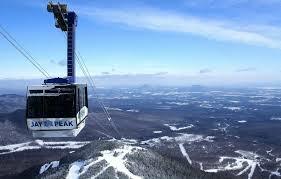 The money was to be used to construct ski resort facilities and a bio-medical research facility in Vermont. The perpetrators promised that investor money would only be used to finance specific projects, but instead it is alleged that over $200 million was used for other purposes, $50 million of which Quiros used for personal expenses, including the purchase of a luxury condominium, income tax payments, and the acquisition of another Vermont ski resort, Burke Mountain, which he renamed Q Burke Mountain, and turned over to his son to manage.